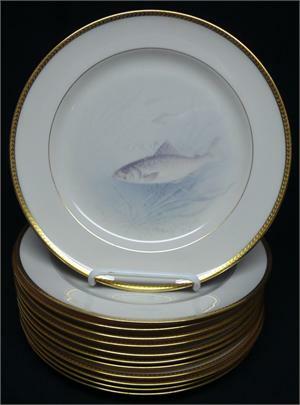 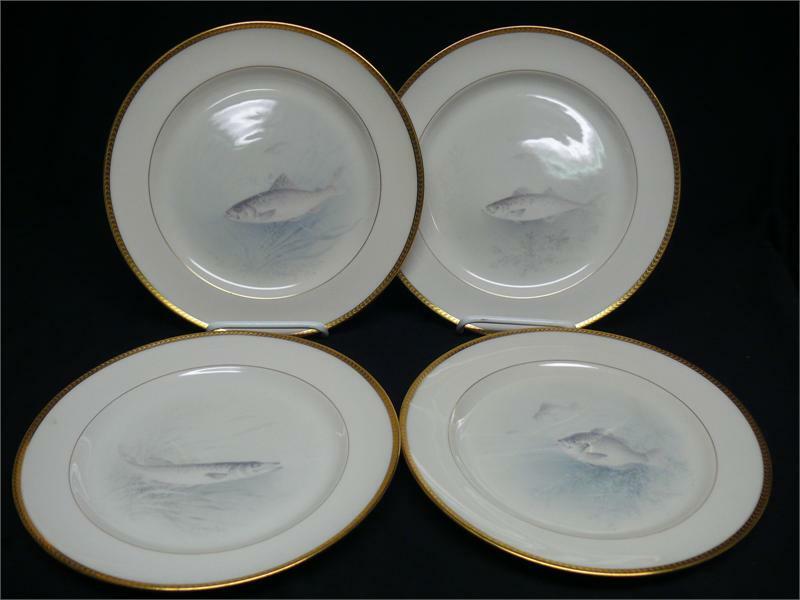 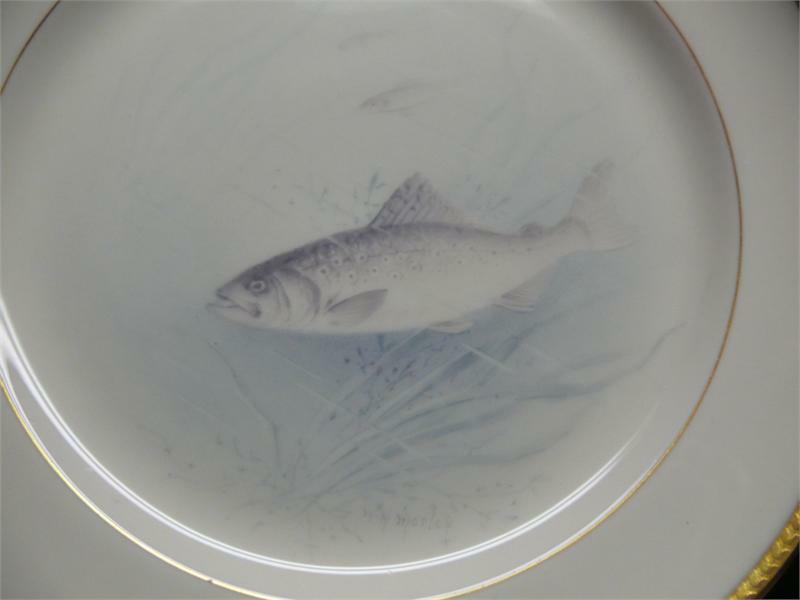 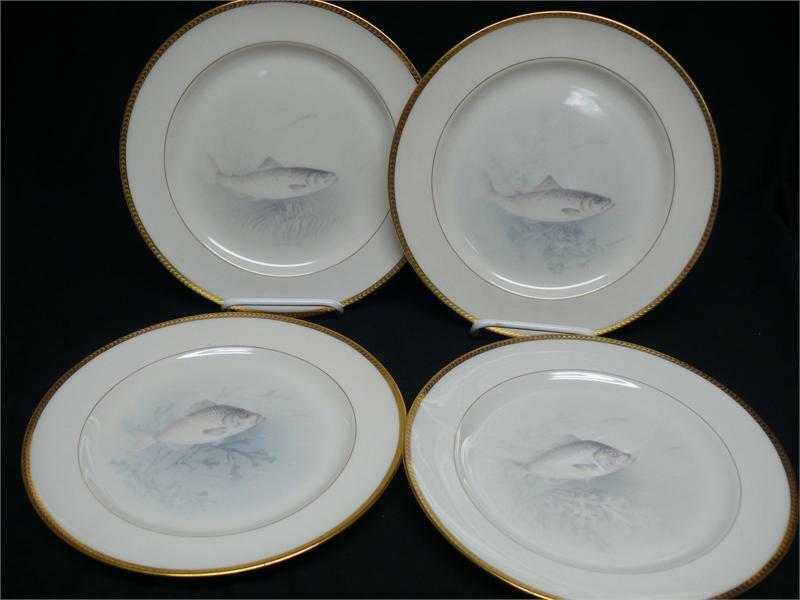 This is a set of 12 Lenox hand-painted fish plates made for Tiffany & Co. Each one was painted and signed by William H. Morley, one of Lenox's premier artists. 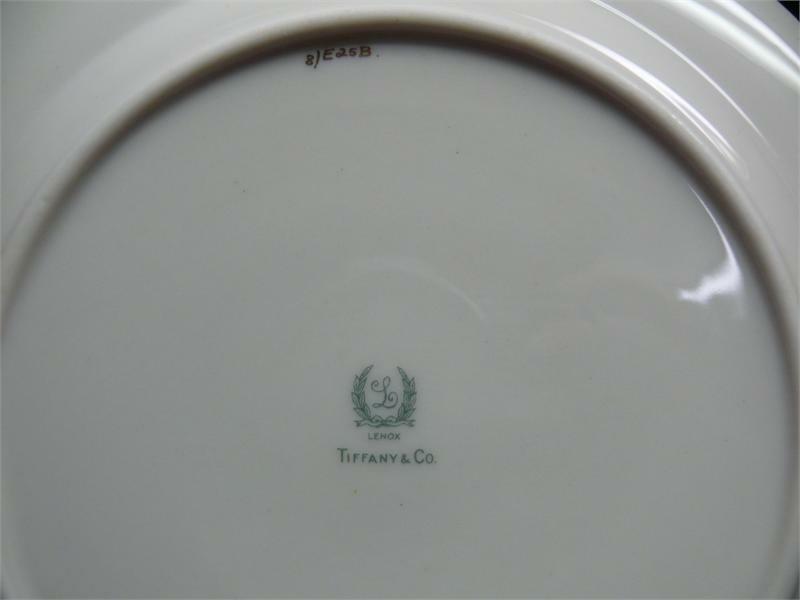 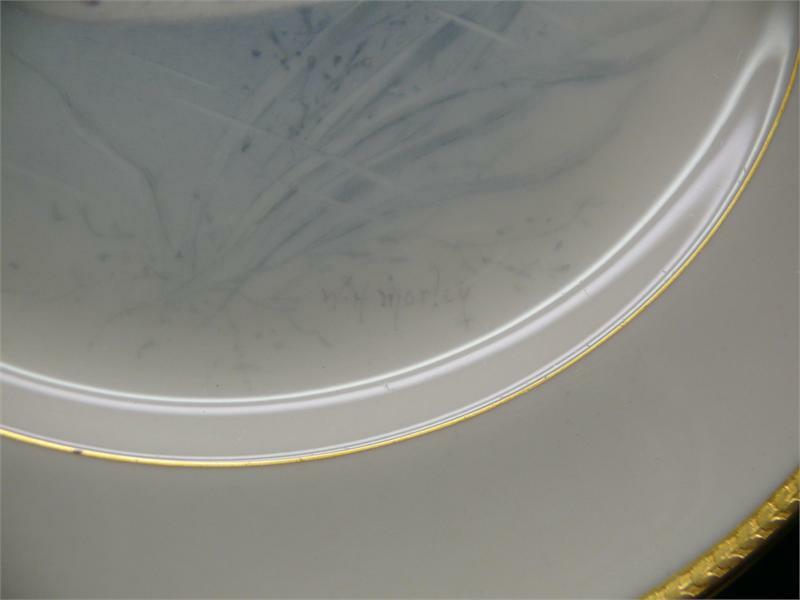 The background is cream, the diameter is 9", and the pattern number is E 25 B. 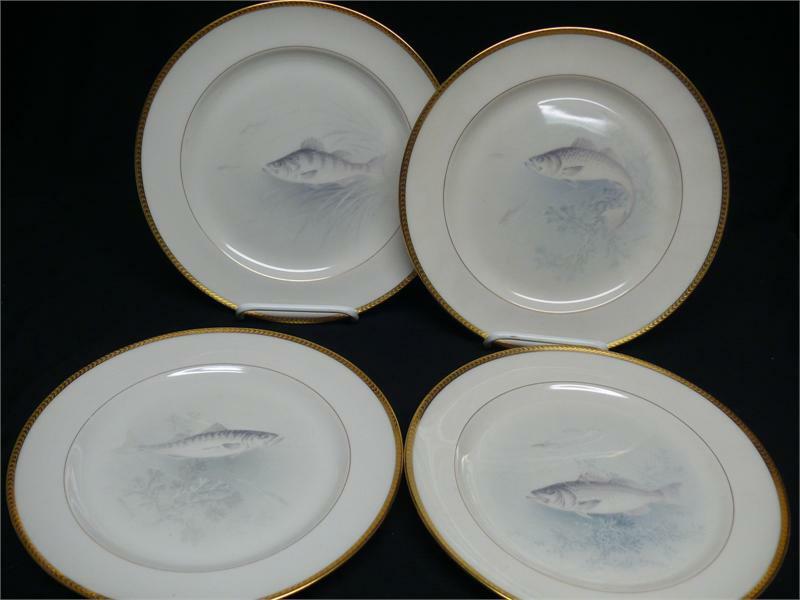 Two of the fish are repeated, but the images are not exact repeats (shown in last photo). To see the additional pictures, click on the link below the main image, or on the image itself.